Having lived on Oahu for more than a year, I've been pretty lucky and blessed to have been able to spend as much time in the Hawaiian waters, beaches, and learning all of the best spots on Oahu. My interests aren't as wide-ranging as I initially thought, either. I have a very specific kind of location that I'm looking for when I go to Hawaiian Beaches. My goal now is to assist people in finding these spots, ensuring that they know how to snorkel safely, and to also point them in the right direction when they're looking to get the best snorkel gear they can. While Oahu may not have the best snorkeling of all the Hawaiian Islands, I do feel that it has more of the easily accessible spots for new snorkelers to try out. There are spots on the Big Island, Maui, and Kauai that are awesome for snorkeling and I plan on visiting each and every one. Let me first start out by saying that Oahu is, by far, the busiest of all of the Hawaiian Islands. There are more residents, more businesses, and more tourists than any of the other islands. When you add all of that up what you get is a very busy island. Most of the snorkel locations in this list will be busy...sometimes crowded. 1. Get there Early: Spots that are gated, like Hanauma Bay, open early. You can arrive at Hanauma Bay as early as 0600hrs. Other spots, the earlier you can arrive than the better. Maybe not as early as Hanauma Bay but around 0800hrs is advised. 2. Snorkel on the Weekdays: If you're trying to go to some spots on the weekends, like Kaiona Beach Park, then you'll be competing for space with both tourists and locals. Other spots, like Hanauma and Shark's Cove, you'll be competing for space all the time because they are among the most popular snorkeling spots in Hawaii. 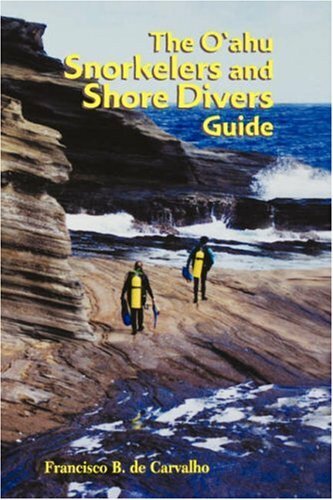 Shark's Cove, or Pupukea Beach Park, has been named one of the best shore dives by SCUBA Magazine. On a good, calm summer day on Oahu this snorkeling site is better than even Hanauma Bay. During the "winter", though, take heed because it gets rough and the North Shore (where Shark's Cove is) becomes surf country. It is also part of a marine conservation area so no netting or spearfishing is allowed. Hanauma Bay is a marine conservation park and access is limited to 3,000 people per day and closed on Tuesdays to help preserve the reef and conditions. There is an entrance fee for all non-residents and non-military and you have to watch a 9 minute video before entering. It is the most popular snorkeling location in Hawaii, though, for a reason. Calm waters, gorgeous landscape, and plenty of fish and turtles make Hanauma worth trip and the small fee. A hidden gem but getting busy. Kaiona Beach Park has a small parking area that gets busy as this is still a local's spot. Kaiona has been called "Honu Heaven" because of the amount of turtles that glide along the shallow waters for feeding. As an added bonus to great snorkeling and good beach, the "Magnum P.I." house from the 80's television show is a popular tourist attraction. 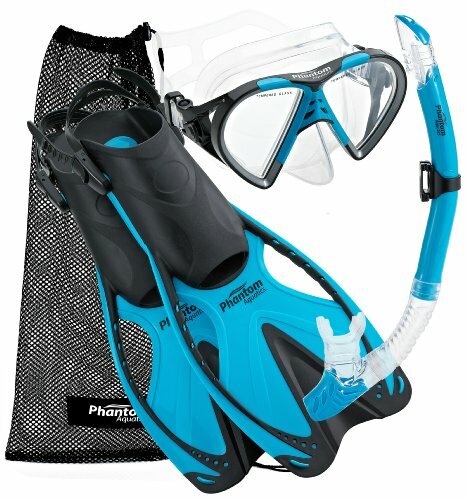 Electric Beach or Kahe Point Beach Park is not for a new snorkeler as it takes a lengthy swim in open water to get to the best snorkeling at the location. There is an electric power plant that cools its machinery with ocean water and then puts the warmed water back into the ocean via a pipe just offshore. The fish love the warm water and definitely swarm to it. Careful, though, there are SCUBA divers and spear fishermen out there but don't worry too much as they are respectful of your presence and you'll see them marked with orange/red floating buoys. This is another location that is not for the beginner snorkeler. It takes a swim to get to the best snorkeling and during the winter this is a surf spot due to the large waves. Don't snorkel during winter months! However, Makaha is nicknamed the "Turtle Cleaning Station" because there are LOTS of turtles. There are not many fish, though, so the main attraction are the turtles and you'll see snorkeling tours on boats anchored about 100 yards from the water entrance on most days. Wow! Looks to be a great spot. Thanks for the article. Raymond, thanks for reading! They're all pretty awesome spots to snorkel if you're into it.